When your meetings and presentations are captivating and run smoothly, you will win new clients. 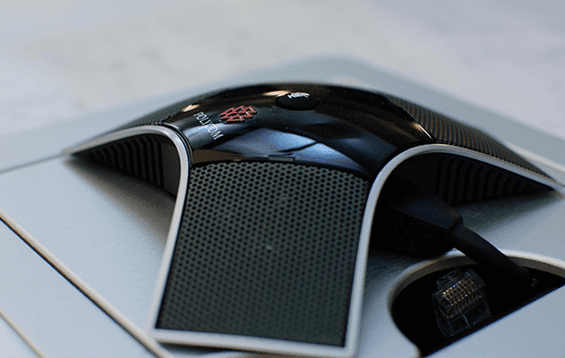 Professionally-installed AV and video conferencing equipment is an ideal way to streamline your meeting technology, allowing you to communicate your core message and solution exactly as you intend. If you are looking to have a professional conference room for your meetings and presentations, allow Comstar Technologies to install an audio/visual system that will impress your current and potential clients. Comstar Technologies works around your schedule, and ensures your satisfaction upon project completion. We supply and install your new equipment, configure it to meet your needs, and perform quality-control tests to ensure your new system works flawlessly. Our skilled and knowledgeable team consistently delivers complete audio/visual systems on time and on budget. 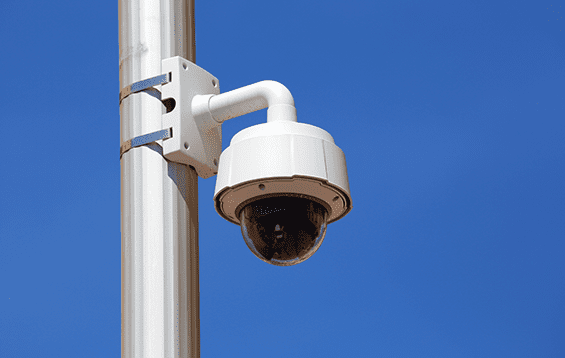 The installation of a CCTV system alone is not enough to protect your valuable business assets. 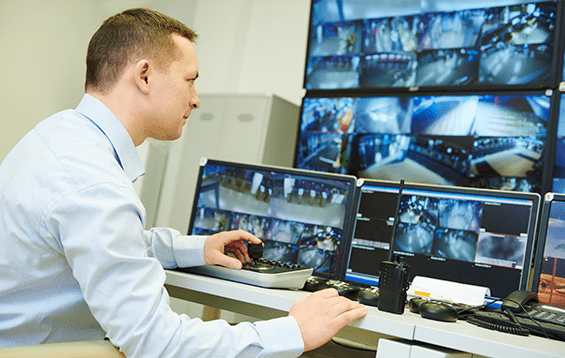 Video surveillance equipment and related components can only achieve their full potential when working as designed, around the clock. Regular maintenance and monitoring is critical for complete security. Comstar Technologies’ customized video surveillance solutions cover businesses of all sizes and industries. As an authorized dealer and installer of Honeywell Security brand systems, Comstar has the expertise and dedication to tailor your basic motion, full perimeter, and surveillance camera system to safeguard your home or business. As your business grows, its need for complete and reliable security surveillance systems grows with it. With more inventory, employees, customers, and transactions, the risk of loss increases dramatically. A comprehensive system for security and controlling the doors, gates, and other points of access into your facility will help prevent theft, monitor safety, minimize disruptions to your productivity, and protect financial assets. Comstar Technologies is your complete source for security requirements. As an authorized dealer and installer of Honeywell Security brand systems, we perform customized service and installation procedures allowing you to protect what matters most and the peace of mind that goes with it. We invest so much to secure our data and networks from hackers and viruses, protect our facilities from theft and break-ins, so should an advanced fire safety alert system be any less important? 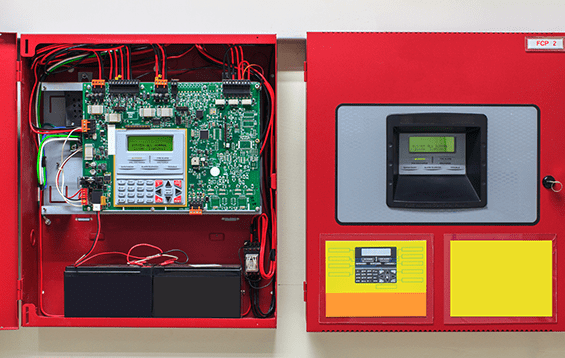 State-of-the-art fire detection systems and alarms can be customized to meet the needs of any size business facility, providing you invaluable peace of mind. In compliance with local codes and regulations, Comstar’s designs and maintenance can improve your system serviceability; adding power, Internet connectivity, and the ability to manage remotely. A well-planned notification system provides your emergency responders with the exact needed information quickly, and allows you to manage alerts for maintaining order and business continuity wherever possible. Your network will run only as fast as its weakest link allows. You might have the best Internet delivery, fastest data switches, most powerful server hardware, and top-of-the-line computers, but if the cabling that connects your stations is sub-par, the speed of data traffic on your network will suffer. A slow network can impact all business functions and departments, with ongoing repercussions. 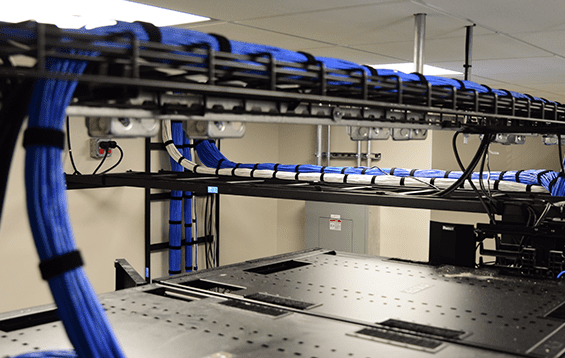 Since so much of your business productivity depends on your network and communication, Comstar places a high priority and takes great pride in all network cabling and infrastructure projects. Industry codes and standards are imperative to our work, and our technicians are BICSI (Building Industry Consulting Service International) recognized. Whether your budget is for Cat5, Cat5e, or Cat6, or on the other end for Fast Ethernet, Gigabit Ethernet, or Ten Gigabit Ethernet, we will design a solution for your current and future requirements. To view some samples of our work, click here for our project gallery.